When Wolfgang Puck and his troops opened this offshoot of his Beverly Hills steakhouse in ’08, they probably didn’t know they were creating the perfect Las Vegas restaurant. It’s a steakhouse (natch), but also a cool and groovy bar/café where you can soak in the vibe and not get soaked in the process. You want celebs and people-watching? CUT gets all the high-end hotties from SoCal. You want poorly dressed conventioneers? Well, CUT gets a load of them too. No matter who catches your gaze, you won’t find better grazing than Executive Chef Matthew Hurley’s bone-marrow flan with mushroom marmalade or maple-glazed pork belly with Asian spices. And if you suddenly find yourself strapped with a pesky vegetarian? Then steer them to some striking butter lettuce with Point Reyes bleu cheese, or a root vegetable and Italian farro soup that’s so good it might make you forget about meat altogether. Lovers of steer muscle will be in hog heaven with true prime steaks from some of America’s best producers. 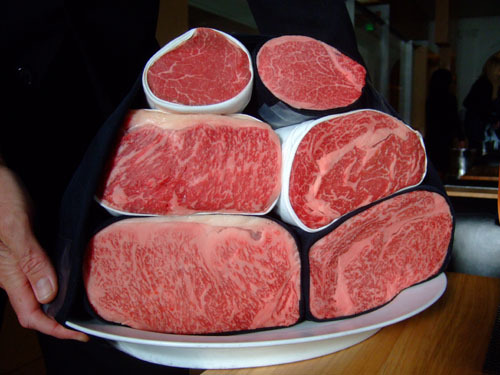 I’m partial to the Nebraska dry-aged sirloin, but there’s no faulting the Creekstone Farms rib eye either. Seafood lovers can’t carp about the whole roasted loup de mer (sea bass) and wild turbot, and no one will find fault with the immaculate veggies and sides—ranging from silky-smooth Yukon Gold potato purée to Brussels sprouts with smoky bacon—without the expense and calories of all those precious proteins. 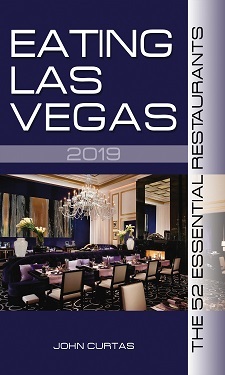 Favorite Dishes: All Steaks; All Vegetables; All Salads; Warm Veal Tongue With Marinated Artichokes; Sautéed Dover Sole; Maple-Glazed Pork Belly; Indian-spiced Kobe Beef Short Ribs; Whole Roasted Loup de Mer; Tempura Onion Rings; Bone Marrow Flan; Oxtail Bullion with Bone-Marrow Dumplings; Herbed French Fries.